This past week I've ventured away from my curling iron, and actually wanted to put my new flat iron to the test. (review here) I could never get my Ionkia flat iron to curl my hair if my life depended on it. I tried so many times with that thing, and nothing. It took me a mintiute to get the hang of it only because I'm not really use to it but after a few times I got it down, and I was actually pretty pleased with the end results. 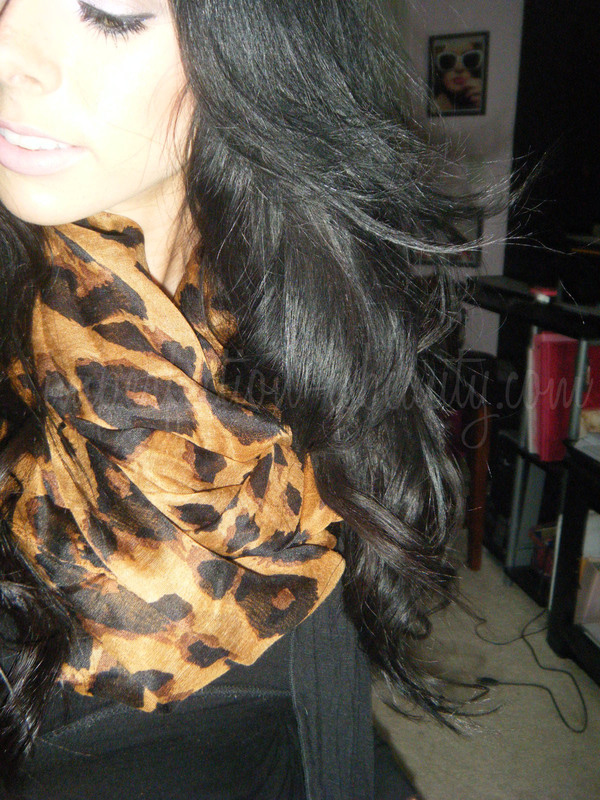 Its actually super easy to curl your hair with a flat iron if you know what your doing. My layers are getting a bit long so I think this week I'm going to have to have to make an appointment. Here's a quick way how to curl your hair with a flat iron. Now onto the face of the day. Maybelline Instant age rewind concealer under eyes in light- LOVE THIS! You are gorgeous!!! Love love your hair and makeup, perfection! You're really pretty! 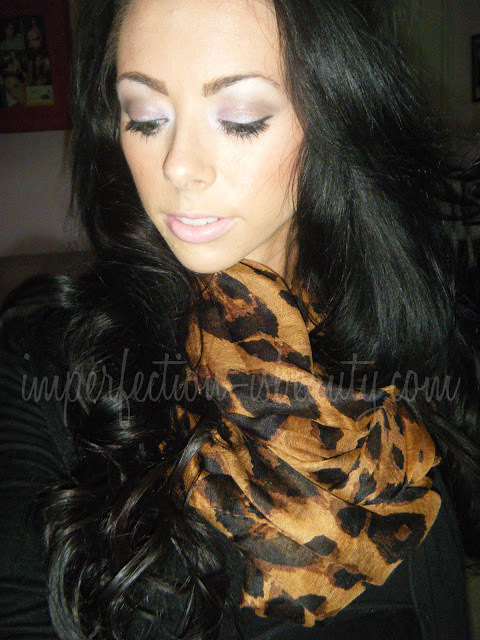 Love your make up and the animal print! Looks great with your dark hair. Ahh i tried so many times to curl my hair the original way with a straighter, and it works BUT NEVER STAYS ): BOO! im glad it worked out for you thou! Looks great! I find that curling with a straightener keeps my curls longer than with a curling iron, I guess because of the method. Lovely! you are so gorgeous!! love your long hair! Hi there!This post could not be written any better! chance,and I am surprised whyy this coincidencе didn't happened in ɑɗvance!